So you’re coming to Rome and visiting The Vatican, huh?It’s safe to say that after a 2-3 hour tour you’re going to need some fuel to keep you powering through the rest of your Roman Holiday. So, what are the best places to eat near the Vatican without being bombarded by tourists? Here are our Top 5 Places to eat, drink and be merry after you take in the art, culture and history of the Vatican Museums. 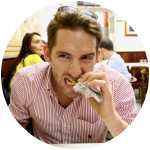 I’ve created a list of places that fit any itinerary and appetite. 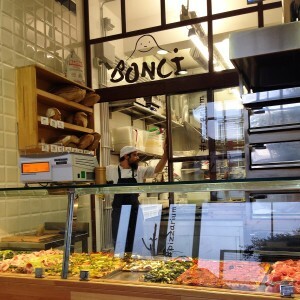 Lunch on the go, panini, pizza, trendy sit-down, local hotspot, you name it! Besides being a self-diagnosed foodie and professional treasure-hunter, I live in this neighborhood so you can safely put your faith in me. Now let’s go eat! 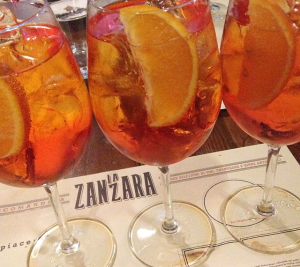 I f you know some Italian, you’ll recognize the word “zanzara” to mean mosquito. Not quite sure on the logic, but it does roll of your tongue in Italian, so they can get away with it. This trendy, but comfortable bistro prides themselves in having an “all day long” attitude. You can start with breakfast and then drink into the night. All the while feasting on the savory plates like eggplant parmigiana (not served with pasta-this is the true Italian style), yellowfin tuna filet, and endless selections of meats, pastas, and salads. Like any good Italian restaurant, the pasta here is homemade. You’ll notice a section on the menu called “pick-me ups” with lower prices. These are smaller portions for the customer that may not be as hungry, or wants to try various dishes. I personally think the latter is a better reason. Sorry to disappoint you, but this is not a restaurant named after a model on a gondola. It is, however, a biological food goldmine where what you see is 100% what you get. Everything is fresh, everything is made in front of you. Salads, sandwiches, juices, smoothies, snacks. They have it all my friends! My personal favorite is the Tofu insalata. Non-vegetarians fear not. You have a choice of fish and meat. This is a perfect place for a quick lunch on the go. They do have a few seats, but it is very small inside so instead of feeling cramped, I like to get my food “da portare via” (to go) and sit in Piazza Risorgimento This is the big square that leads to The Vatican and you can find people-watching heaven and a beautiful view of the St. Peter’s dome. walk from the Vatican or take the metro to Cipro (one stop). Locals and tourists alike frequently stop for lunch or dinner here, either sitting on the bench outside or standing around the high-tables placed outside. You can absolutely opt to take your pizza to go, but I do have to say it is a fun experience joining the crowds of pizza-eaters outside and taking in the experience. Happy pizza-ing! 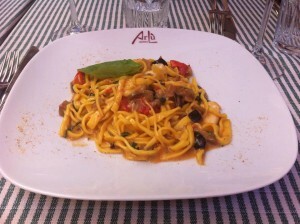 Being in Piazza Risorgimento, this is your closest and best option for a quick lunch, snack, or dinner near the Vatican. I am always wary of eating in places that are in main squares as they tend to cater to the gullible tourist, but this place is a true exception. It is located right before the corner you turn to reach Old Bridge Gelato, and it is a bit easy to overlook with all the other food spots so keep your eyes peeped! When you walk in you’ll see the menu on the wall to the left. Being a vegetarian I was very excited to see not only a meatless section, but also a vegan–with more than one option…gasp! Once you’ve selected your sandwich and have grabbed a cold refreshing drink, head to the register to order. They’ll give you a number and you can watch the masters create your sandwich in front of you, using only the freshest ingredients. I always opt for the #corsorisorgimento which has cherry tomatoes, mozzarella, fresh basil leaves, oil, salt, and a little bit of pepper. Oh, and everything is on freshly baked bread. I like to take my sandwich to go and sit in the Piazza or pack it away with a little bottle of prosecco all ready for a picnic up on Gianicolo Hill behind the vatican. 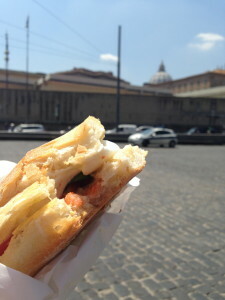 Great panino, refreshing bubbles and a stunning view of the Eternal City. Perfect lunch if you ask me. Get there for midday to see the cannon being fired from Piazza Garibaldi at the top. So there you have it. The best places to eat near the Vatican. 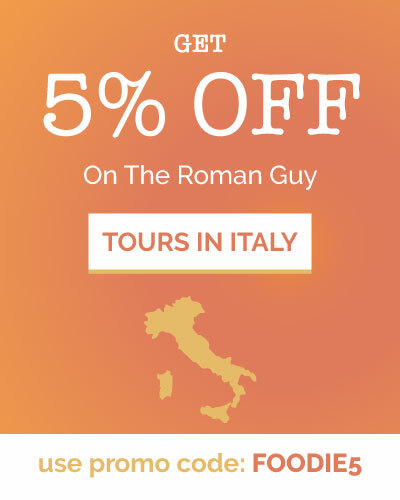 As you would’ve noticed, Rome has something for everyone! Quick and casual, trendy or classic, vegetarian or carnivore, you have a great variety of options for a tasty meal after your Vatican Tour. After all, Rome is about history, but it is also about food. Great food to say the least! Let’s take advantage, shall we? If you enjoyed this post, please share on social media and include our handle on Facebook, Instagram, or Twitter. We’d love to share our discoveries with more people so that they can eat all the best food when they visit! 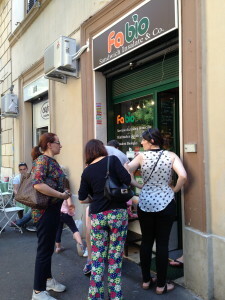 Also, if you are visiting and want the perfect introduction to Rome’s tasty local food, join our Trastevere Food Tour!